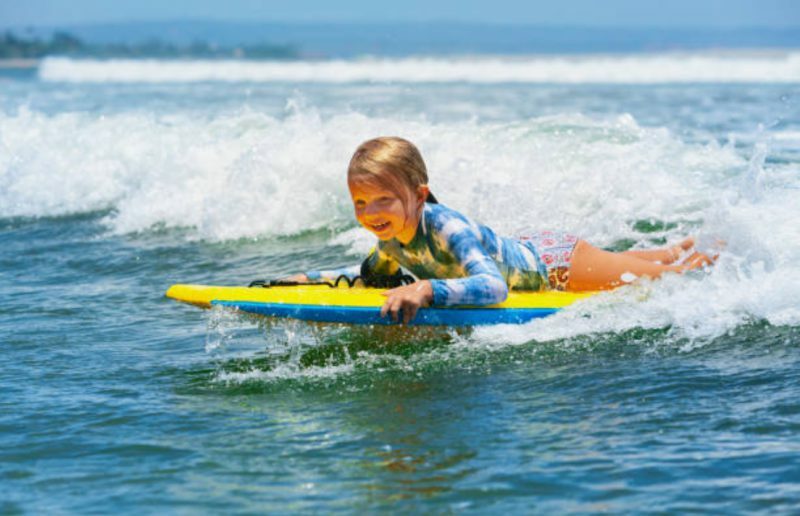 Summer means waves of fun for kids and parents visiting Maui. There is plenty for the littles to do on the island. Here are a few suggestions, from the flight to on-island time. If you’re traveling to Maui from the West coast, book a direct flight if possible. For longer journeys with layovers, find a space for your toddler to run around and make noise in the terminal, and save napping for the flight. We always found a small soft blanket from home helped our kids feel comfortable on the plane and they were more likely to snooze. The brilliant invention of the iPad has saved many a long journey from total chaos. Just make sure to download plenty of entertainment before leaving home, and plug the iPad in when you are in between flights. Planes can be a flurry of activity and sound. Consider kid-friendly noise cancelling headsets to reduce your child’s noise related stress. We like to hang loose in Hawaii, but kids going commando in the pool is not allowed. Bring swim diapers so toddlers can enjoy the pool with you. It’s also a great idea to pack your child’s favorite healthy snacks. You may not find the same foods or brands as back home, so best for little tummies to ease into new food selections. 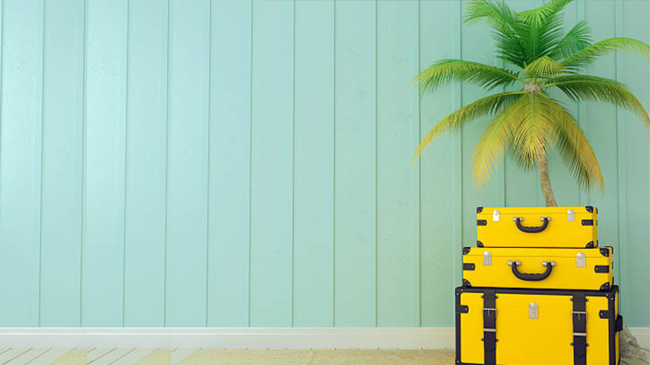 For more info on packing, including food that you can bring to Hawaii, see our article What to Bring and Not Bring to Maui. Stay in an amazing oceanfront condo with a full kitchen, where you can cook meals or make snacks. It will also give you a chance to be outside on the lanai with your partner in the evening, after the littles have gone to bed, soaking up the sound of waves and feeling your stress wafting away on the gentle trade winds. Destination Maui Vacations has put together an extensive list of things to do on Maui. However, you will want to tailor your activities to your children’s ages. 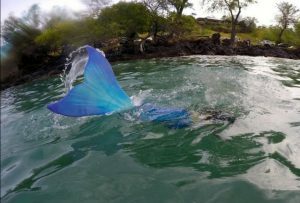 New and cool- Kids can learn to swim like a mermaid- complete with tail- on a Maui Mermaid Adventure (fun for big mermaids too!). Or strike out in the forest on a Maui Treasure Hunt Adventure. Who doesn’t like finding treasure? Arrr! Hikes. If your little are not up for an all-day car ride, perhaps skip the Road to Hana, but stop at Twin Falls (if they are sturdy trail walkers). This 2-mile roundtrip trail near the beginning of the road to Hana will take you to two beautiful waterfalls. Note any Northshore or East Maui trail will be extremely muddy or slippery if it has been raining. Iao Valley State Park, where there are paved trails and flush toilets is great for young ones. Next door, Kepaniwai is a large park with picnic tables and plenty of space to run around. and a wonderful place for picnics. See more easy walks and hikes here. Beaches. Maui has two excellent “baby” beaches. One is in Central Maui in Spreklesville, on the way to Paia, the other in the heart of Lahaina. Both have fringing reefs that create a shallow ocean pond with very little wave action. Most South Maui beaches have relatively calm waters in the morning, but there will be some wave action, so keep an eye out. Maui Ocean Center. More than just another aquarium, Maui Ocean Center will delight young and old. Cool things for kids include a touch pool, big shark viewing window and a walk-through translucent tunnel. The newest exhibit is a 3-D humpback whale movie that is incredible! Tropical Express Tour at Maui Tropical Plantation– A 45-minute tram ride around a real, working plantation, stopping to taste fruit and see plenty of different plants and flowers. Finally, check out our Baby Gear and Beach Rentals page for everything you need to make a great kid-friendly vacation on Maui!